iQor is a global provider of business process outsourcing and product support services. The company partners with many well-known brands and delivers a wide array of solutions, from customer care and receivables management to product diagnostics and repair services. Its mission is to build a new Customer Experience model that unlocks greater value for its clients and their customers. Founded in 1957, today iQor has over 45,000 employees in 18 countries. Prism Microwave enables OEMs and mobile operators to develop and market business-to-business RF-filtering solutions. NEC Corporation is a Japanese multinational provider of information technology services and products, headquartered in Minato, Tokyo, Japan. Power Line Services is America's leading provider of high-voltage Transmission, Substation, Distribution, and EPC construction and maintenance. Power Line Services has the resources, expertise, and experience to successfully complete any T&D needs. Reduce your exposure and liability while decreasing your operational costs through Vendor Compliance Management. We deliver ultra high-speed 5G wireless technology for businesses and Smart Cities, making for super-efficient transport of data and increased performance. Colocation, high performance network connectivity and Internet access from multiple SSAE 16 compliant data centers. An @ZayoGroup company. Join the latest discussions about the dynamic technology, markets and products related to telecom. Feature-rich phone systems in Central Texas. Get amazing deals on hosted phone systems and VoIP solutions for offices in Austin, Waco, Killeen and Central Texas. Alan Ritchey, Inc. is a multi-industry company that has been providing services to the government, industrial, agriculture, energy and transportation sectors for over 45 years. M1 stands for Mission First. We are a service-disabled veteran-owned, woman-owned business founded in 2003 to support the Warfighter. We are an EOE Employer. Operates As A Provider Of Internet Technical Support(100%). TESSCO Energy Services is the largest supplier for oil field services to the Permian Basin. Netsocket delivers a new framework for network virtualization and advanced automation. TheBlaze is an American conservative-leaning pay television network founded by talk radio personality Glenn Beck, based in Irving, Texas. Grande Communications is a United States telecommunications firm, based in San Marcos, Texas, that uses a fiber optic and cable network to offer broadband services. Dotcom Diagnostics, Inc. is an IT company devoted to supplying our clients with advanced solutions to today's computer and networking problems. Yes! 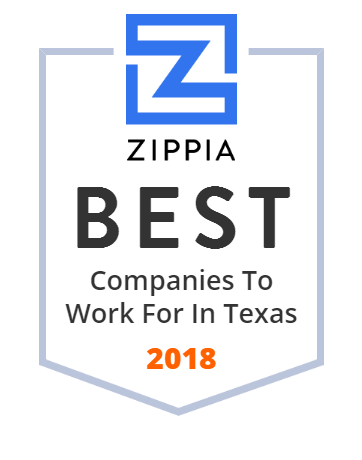 Data Magic is rated #1 among all IT Companies in Dallas. Check us out first Free Initial IT Support review. Call today. Inbound call center and answering service solutions offering customer service to grow companies. Serving Dallas, Houston, Fort Worth and beyond for more than 45 years. Comprehensive Therapy Services offers professional services for the Fast ForWord™ Programs from Scientific Learning Corporation, Inc.
Etex Telephone was formed in 1952 to meet the telecommunication needs of the people in rural northeast Texas. Growing from the original 743 members to over 17,000 in 60 years, Etex now provides landline telephone, internet, and digital TV services. Uniden Holdings Corporation is a Japanese company in the wireless communication industry. Bearcom is the nation's largest Motorola two way radio dealer. Let us design a digital communication solutions for your events big and small. Affirm Oilfield Services, LLC provides support services for oil and gas companies. The company offers wellsite construction services, such as site preparation, production, post production, reclamation, and compressor stations; and field services, including tank battery construction, well hookup, field maintenance and repair, flowline construction, permanent and temporary fencing, road sweeping, dump truck, production tank setup, pit and environmental barrier excavation, wellsite cleanup, pumping unit installation, treater installation, fabrication capabilities, and reclamation and landscaping. It also provides pipeline construction, heavy haul and logistics, and trucking and crane services. The company was founded in 2014 and is based in Fort Worth, Texas. Affirm Oilfield Services, LLC operates as a subsidiary of SES Holdings, LLC.